In the beginning God created heaven & earth. The earth was void & filled with darkness. From the emptiness, the cry of an angel could be heard. But God does not forsake the contrite & broken hearted. And God had heard his prayer. 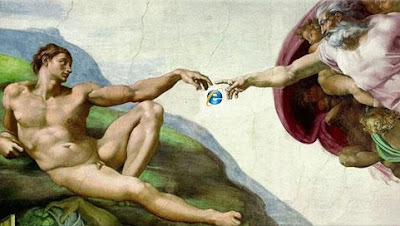 God said, "let there be INTERNET!!!" And there was light in the garden of Eden.